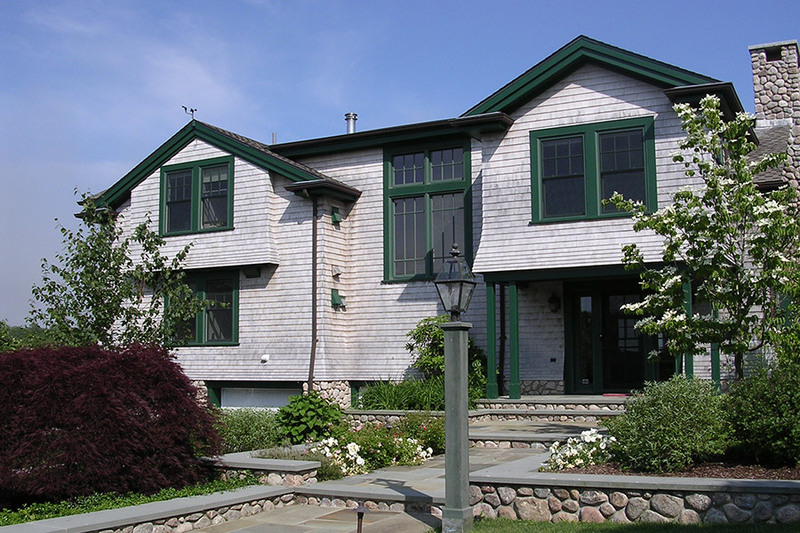 This summer residence has a waterfront setting on one of Rhode Island’s coastal ponds. 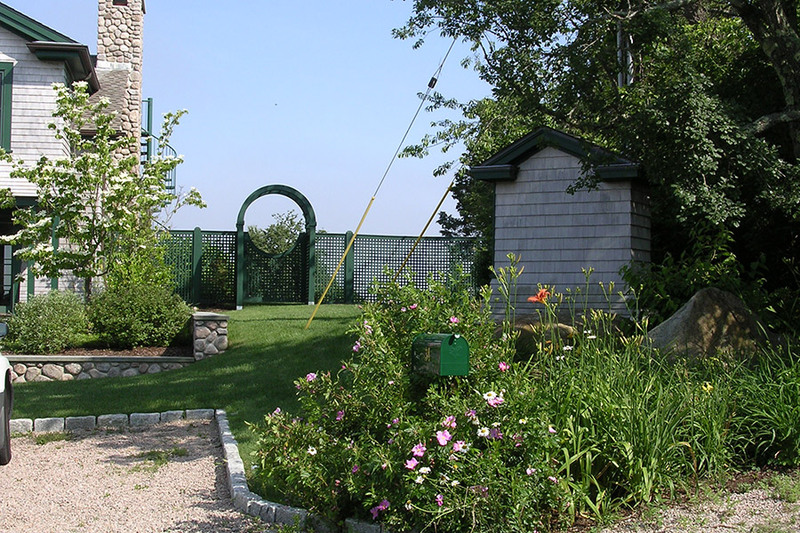 The landscape design focused on providing and maintaining open views to the water, creating privacy from the street, and offering easy access for cars and visitors to the house. 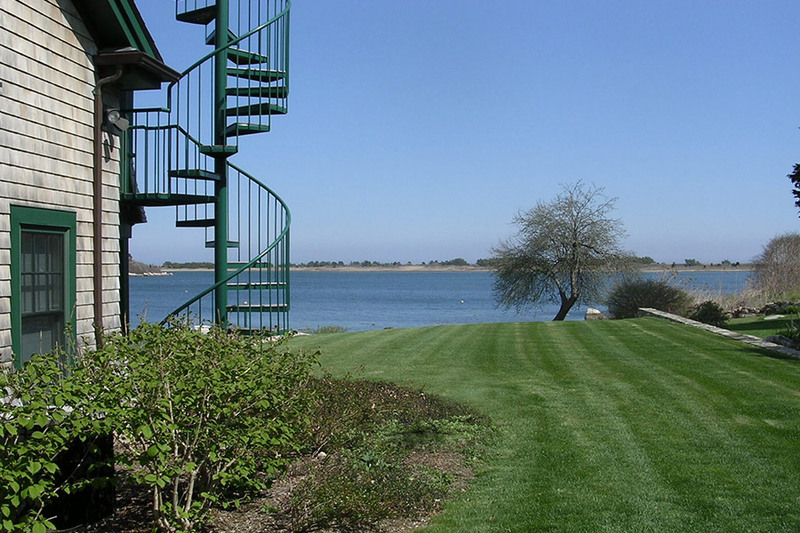 The grade changes on the front side of the property were addressed via stairs and landscaped terraces. 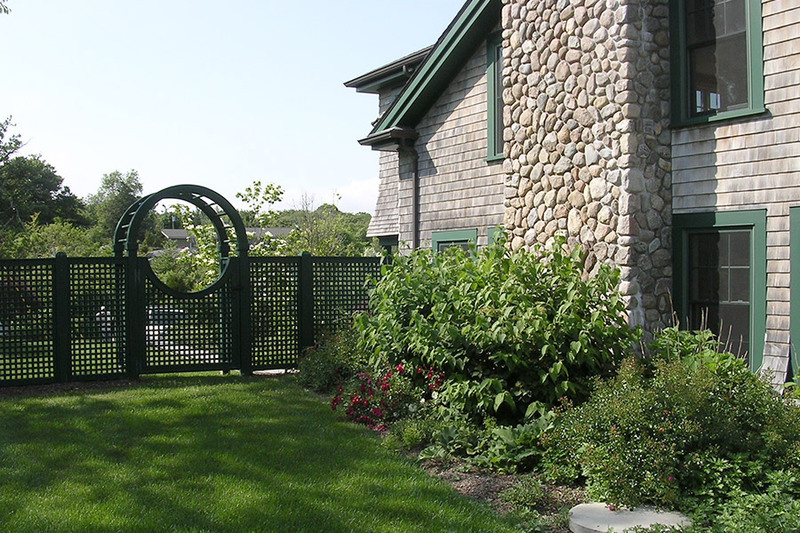 The plant palette comprised material suitable for a windy coastal site and provided color during the spring, summer, and fall seasons when the owners would be utilizing the property.